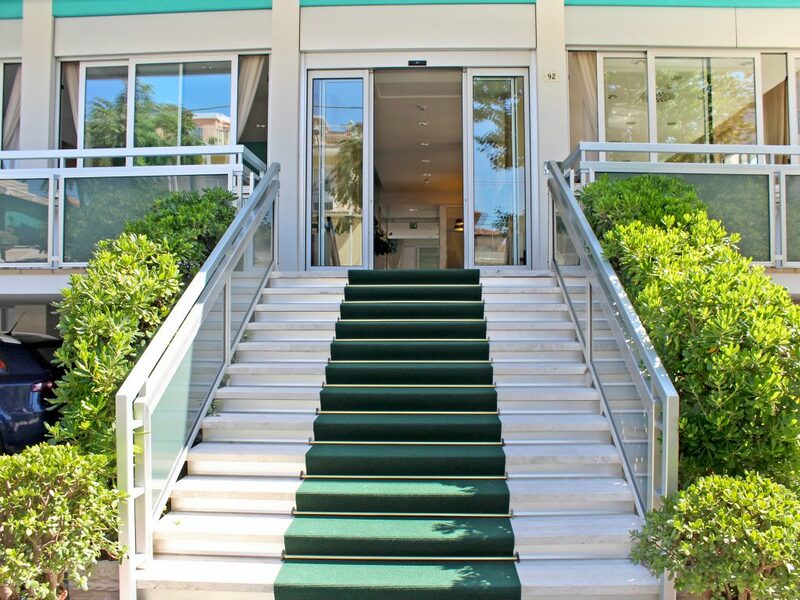 The Muratori family would like to welcome you to Hotel San Giorgio in Miramare in Rimini. 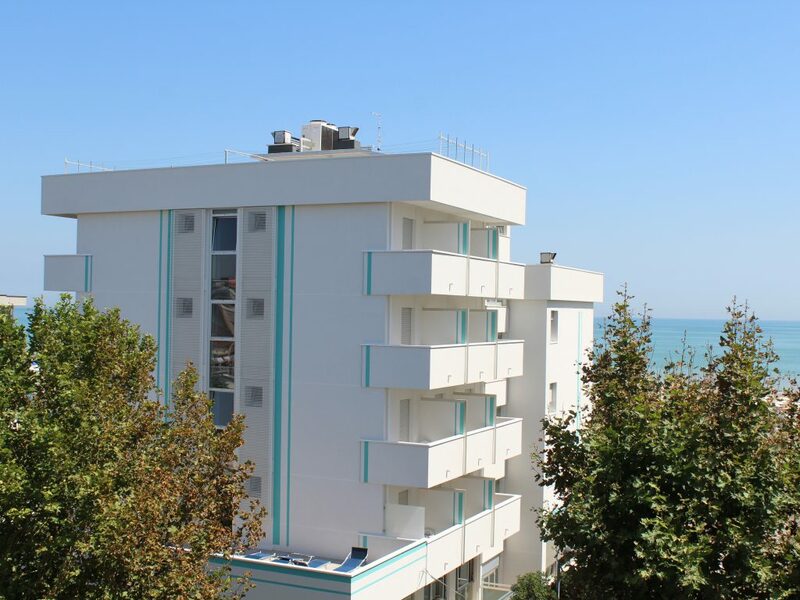 Our recently refurbished, family-run hotel stands directly on the splendid beach in Miramare, between Rimini and neighbouring Riccione, along one of the most beautiful stretches of coastline of the entire Romagna Riviera, packed with attractions. Our hotel’s philosophy is based on ensuring our guests’ satisfaction and each year we try to improve the quality of relaxation offered thanks to the sea and beach, great entertainment and our excellent cuisine. 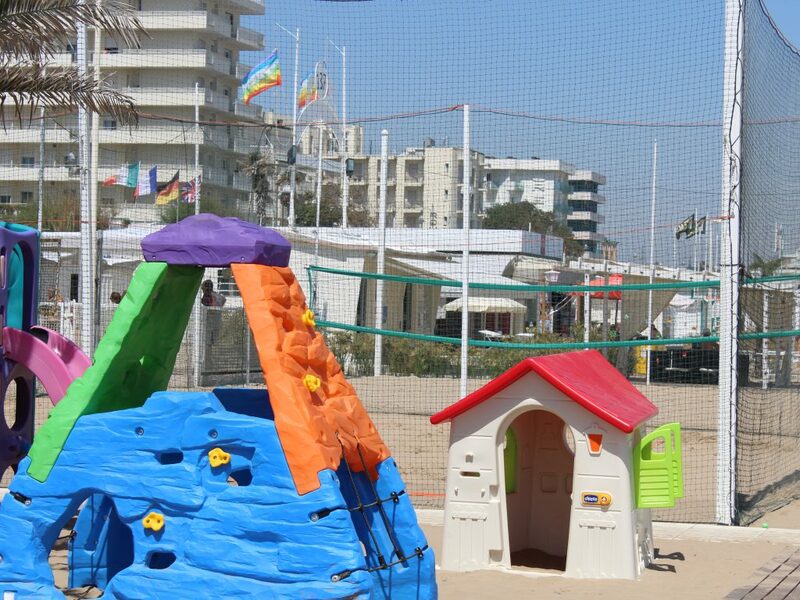 The hotel is perfect for families with children, young couples and anyone wishing to enjoy the fun atmosphere of the Riviera. 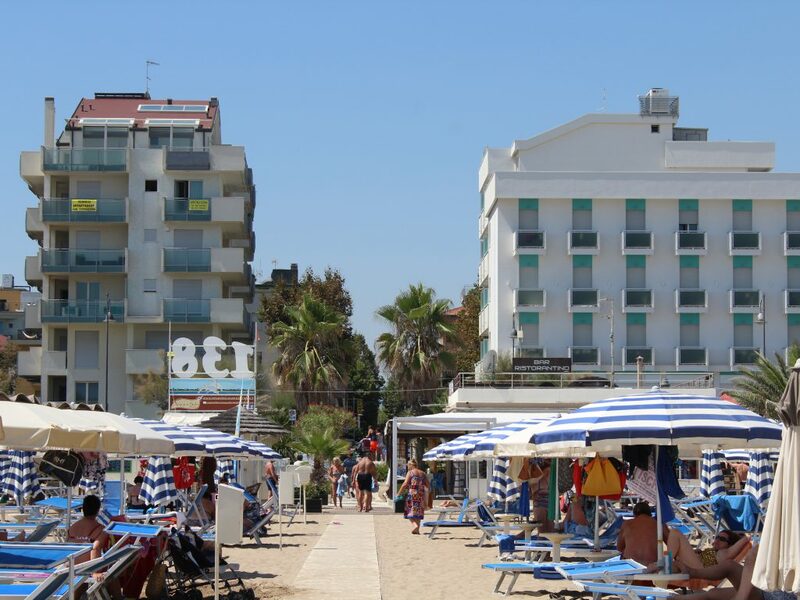 The Hotel San Giorgio is a comfortable 3-star hotel directly on the beach front in Miramare and boasts 45 rooms, all of which have been recently refurbished. For over 50 years, the Muratori family has welcomed guests for an unforgettable holiday on the Riviera of Romagna. 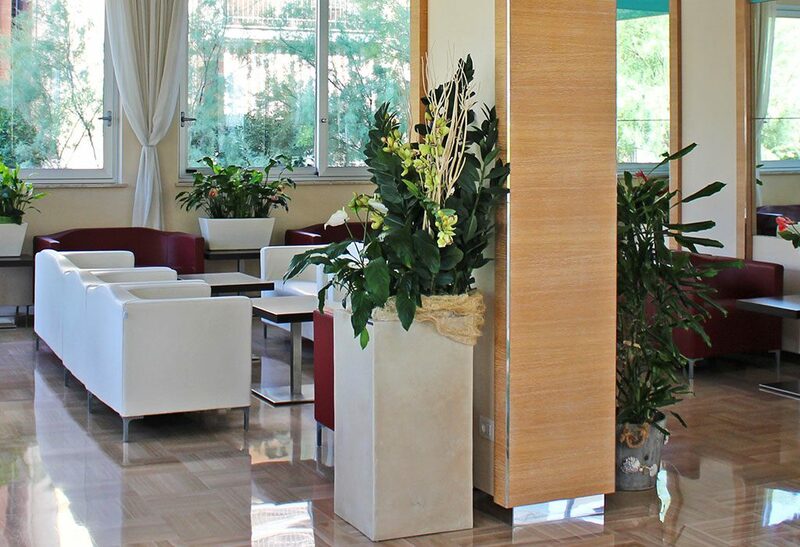 Only 900 metres from the 3-star Hotel San Giorgio in Miramare is Rimini’s famous thermal spa complex, where guests can enjoy total relaxation and wellness for the body and soul. The Hotel San Giorgio is a family-run hotel that offers guests all manner of modern comforts and in addition to a myriad of specially-dedicated services and facilities also boasts a prime location, close to the beautiful beach of Miramare and just a few kilometres from some of the most interesting resorts on the Riviera. Recently renovated, the hotel offers all the services necessary to make any holiday simply perfect: a handy private car park adjacent to the hotel, perfectly air-conditioned rooms and public areas, free Wi-Fi, free bicycles for hire and a solarium and splendid terrace, where guests can to enjoy the sun and magnificent sea views. 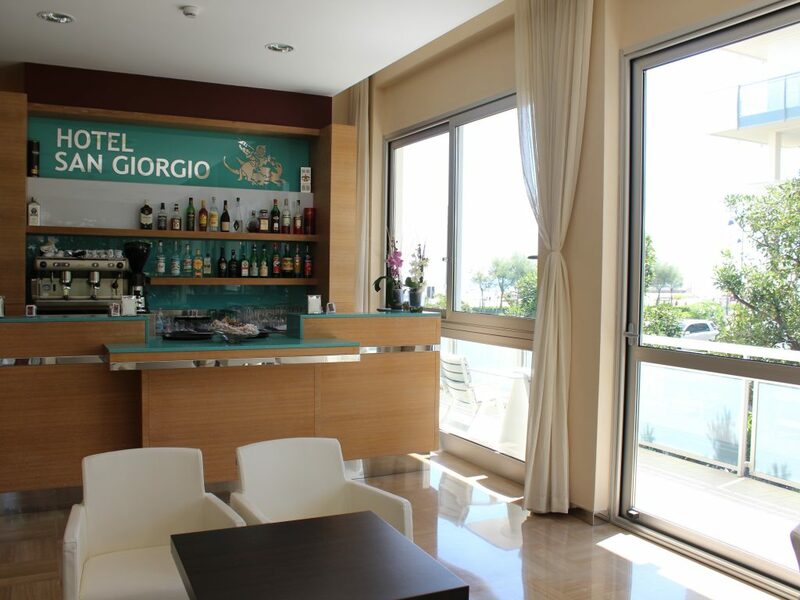 Located on the coast of Rimini, just a few metres from Miramare beach, Hotel San Giorgio boasts a wonderful restaurant with splendid panoramic views where guests can order typical local dishes, prepared in full respect of tradition and using only locally-sourced products. A 10-night holiday with my wife and a couple of friends. Courteous and wonderfully friendly. The owners and staff are well-qualified and always present. 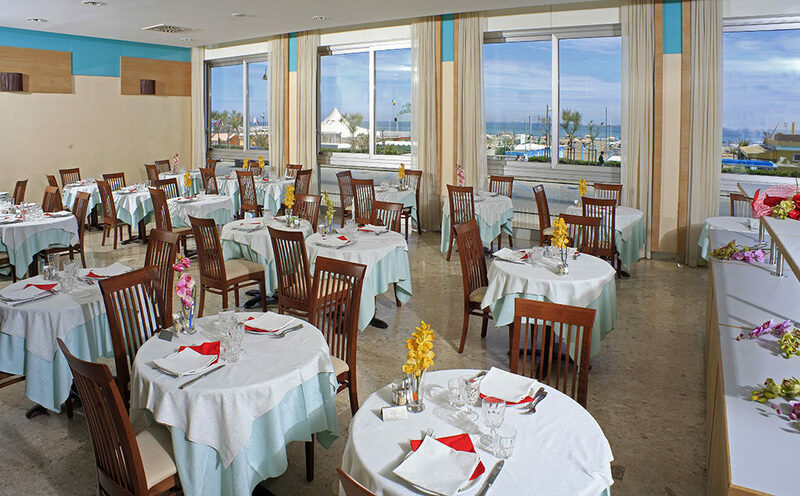 Excellent food, with a choice of 2 menus at lunch and dinner and a rich and varied buffet. Its location on the coast of Miramare, 30 metres from the beach, makes it an excellent hotel in my opinion. Rooms, bathrooms and fixtures have been recently refurbished to meet the needs of guests. Great value for money. We highly recommend it and hope to return in future. The Muratori family make the hotel a real jewel, the cuisine is excellent, with fish the main focus at both lunch and dinner, a great welcome and an excellent stay. Completely satisfied. Great views of the beautiful sunsets from the 4th floor. 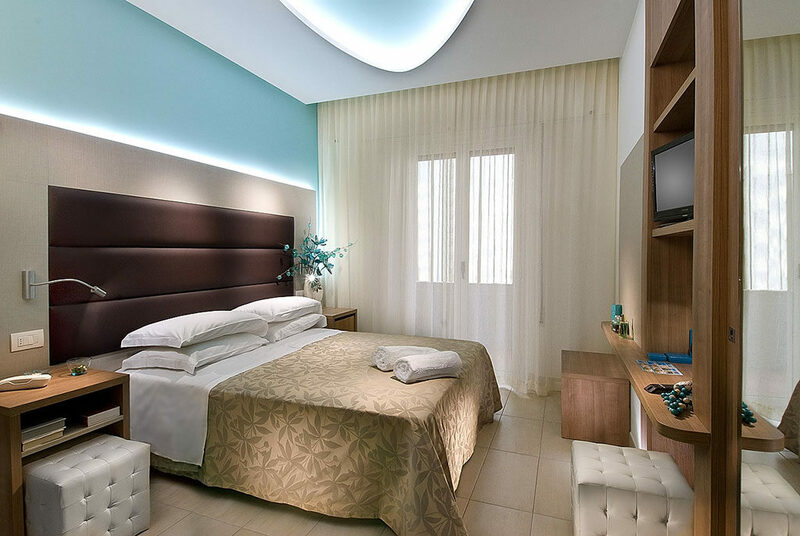 A positive experience in terms of both the quality of the service of personnel, the clean rooms and daily change of linen and the excellent cuisine. We strongly recommend it for anyone who wishes to spend a relaxing and delightful holiday in friendly surroundings.